The proper application of our products is key for best results. See below how a few simple steps can make a big difference. The directions below are valid for most of our products. Only the “Hair Regrowth Set” is applied differently. Please see the bottom of this page for specific directions. In order to preserve the integrity of our ingredients we don’t use any emulsifiers or mixing agents. Shaking the bottle well each time right before the application will ensure that the results you expect are achieved. Depending on your hair abundance apply the equivalent of 1 or 2 table spoons (or half of your palm). Then massage. Limit to 30 seconds max. This process will deeply clean your hair and scalp. It will also prepare your scalp for the next step. 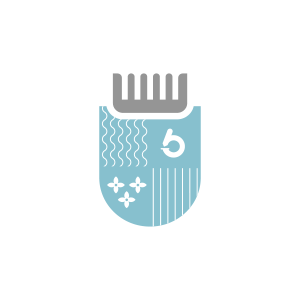 Depending of your hair abundance apply the equivalent to 3 or 4 table spoons (or a palm-full). Do not massage. Leave for 1 minute max. Then rinse. This process will help your hair and scalp naturally absorb the necessary nutrients to keep a healthy and beautiful hair. Please do not apply any additional cleaning or conditioning products after. Our products have been formulated to provide everything your hair and scalp needs to look and feel gorgeous. Results might not be immediate. Depending on the previous damage, your hair and specially your scalp will need to find its natural balance through the completely new and healthy conditions our products are providing. The Hair Regrowth set combines 3 products. Each is applied differently. The two first products are formulated to prepare the scalp for the serum which is offered as a dropper. These directions are valid for both the Hair Regrowth For Him and For Her. Please click here for further details. • Shake well. Our products are natural. • Apply 1 tbsp and massage for 30 seconds max. • Apply 3 tbsp. Do not massage. Leave for 1 min. • Use 3 times a week for 12 weeks. • Apply up to 5 drops onto hair loss area. • Massage. Do not rinse. Style.